Discover the exhilaration of this one-of-a-kind off-road excursion. 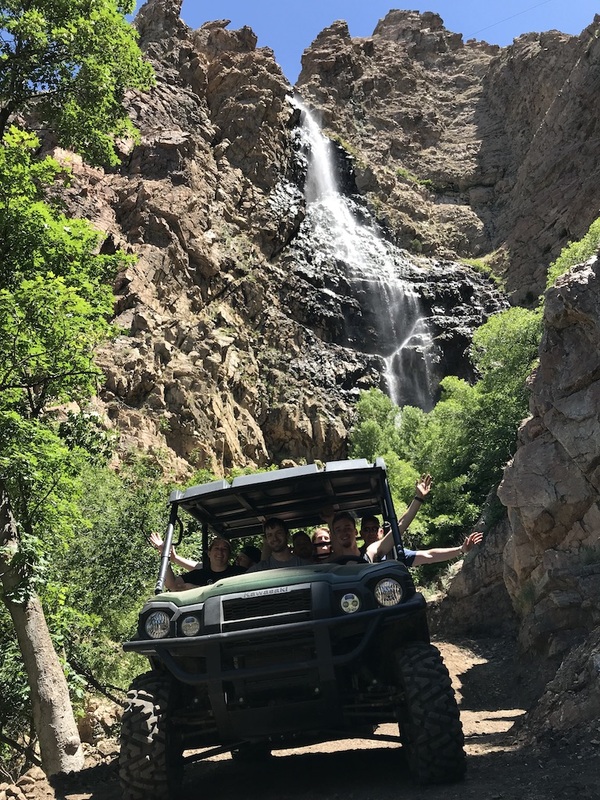 While you enjoy the ride in comfort, our professional guides will climb with you in our super-powerful 6-passenger ATVs to incredible heights in the Utah backcountry. You'll check out a towering 300 foot waterfall, discover abandoned silver mines, visit astounding overlooks, and more. Return with unforgettable memories and a new feeling of freedom. Choose from the 2-hour Guided ATV Safari or the 2.5-hour Guided ATV Sunset Safari. Don't forget your camera!